Not everyone adopted the Gregorian calendar right away. Great Britain and colonial America did not change until September 1752. We still use the Gregorian calendar today. Estonia celebrates Independence Day. Located along the Gulf of Finland, Estonia has had a complicated history. In 1918 it became free of Soviet rule, but then it was conquered again. It became free of Soviet rule for the second time in 1991. According to the CIA World Factbook, Estonia is about the size of Vermont and New Hampshire combined. Bordering the Baltic Sea and the Gulf of Finland, Estonia is home to 1.2 million people. Tallinn is the capital. Wilhelm Karl Grimm (born Hanau, Germany, 1786; died Berlin, Germany, December 16, 1859) and his brother, Jacob, wrote Grimm’s Fairy Tales. Children could read portions of Grimm’s Fairy Tales at: Project Gutenberg. They could learn more at: Wilhelm Karl Grimm. Winslow Homer (born Boston, Massachusetts, 1836; died Prout’s Neck, Maine, September 29, 1910) was an artist known for his outdoor scenes. Children could learn more about him at the National Gallery of Art site: Winslow Homer. Steven Jobs (born Los Altos, California, 1955; died Palo Alto, California, October 5, 2011) co-founded Apple, Inc.
Uri Orlev (born Jerzy Henryk Orlowski in Warsaw, Poland, 1931) has published over 30 books for children. Now a resident of Israel, he grew up in the Warsaw Ghetto. His mother was killed by Nazis, and he was placed in the Bergen-Belsen Concentration Camp. He received the 1996 Hans Christian Andersen Award. His books include The Lady with the Hat and Hairy Tuesday. 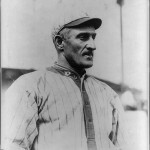 Honus Wagner (born John Peter Wagner in Carnegie, Pennsylvania, 1874; died Carnegie, Pennsylvania, December 6, 1955) was a famous baseball player. He was nicknamed the “Flying Dutchman.” Children could read Dan Gutman’s Honus and Me: A Baseball Card Adventure.